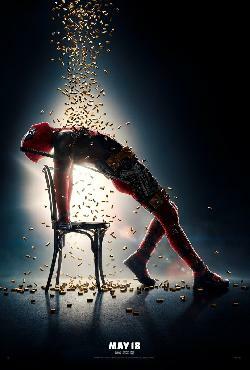 Reynolds solidified his place as a Hollywood creative force when he produced and starred in parts one and two of Fox’s wildly successful “Deadpool” franchise. His take on the sarcastic antihero proved he could hold his own in the comic-book genre, and the original became the first live-action superhero movie to score a Golden Globe nomination for best picture, musical/comedy. He got his start on the Canadian teen soap “Hillside” in 1991 then found his groove with versatile roles ranging from mid-budget rom-coms — “The Proposal,” “Just Friends” and “Definitely, Maybe” — to his first superhero flick, “Green Lantern,” in 2011. A longtime supporter of cancer research, in April 2018 he helped auction a pink version of Deadpool’s power suit for the charity F— Cancer. Actor / Director / Producer The fast-rising star balanced Oscar buzz and box-office success to become the consummate leading man. Producer The writer-producer is a guiding force in Fox’s X-Men universe, taking the franchise into the stratosphere. Actor A movie-style makeover helped morph him from a guileless TV oddball into a box-office titan. Actor The endearing star harnessed her comic talent and dramatic range to become one of Hollywood's most captivating actresses. Want more information on Ryan Reynolds?